This burger place inside a gas station is not humble. 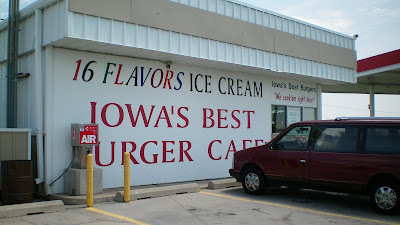 They think their burgers are the best in Iowa. 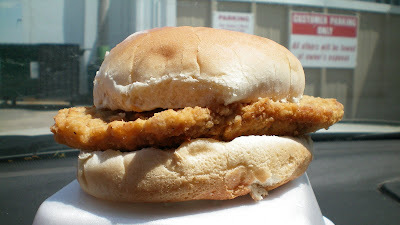 they also serve a homemade tenderloin, so a detour from the highway was in order after a recent visit to Kellogg. Location: At intersection of I-80 and State Highway 224, just south of Kellogg, Iowa. 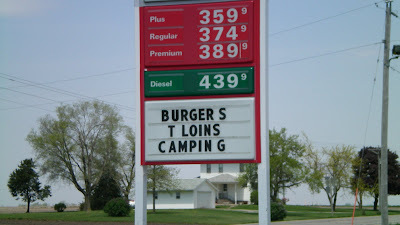 Directions: Exit the Interstate at Exit 173, turn north at "Burgers, T Loins, Camping" sign. 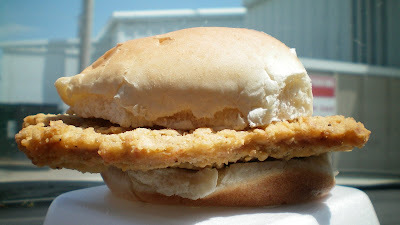 The tenderloin: For the small price you get a small tenderloin. The edges barely get past the bun. the inside is moist with juicy pork. The breading has a pinch of pepper that adds just the right amount of flavor. This is one of the better small cuts of pork loin you will find. Overall 6.5 out of 10. Also on the menu: burgers, obviously, from a broiler oven. There is also ice-cream and chicken. Service: Its counter service with one counter for gas and food customers. Ambiance: Cramped interior with shelves between counter and booths. Beef jerky seems to be everywhere. Picnic tables with birds eating crumbs are outside. Sign outside reads "free restrooms". Final Thoughts: Its too bad I don't eat hamburgers. 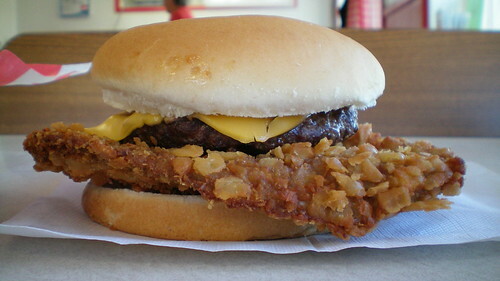 This is an okay small tenderloin. The place has classic gas station atmosphere. Its also very close to the highway. However, I don't think I will be spending the night here anytime soon.